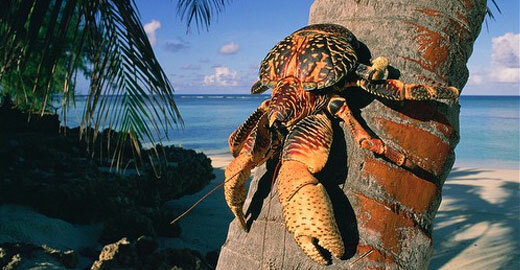 The Coconut Crab is native to most of the Indo-pacific islands and is the largest living arthropod in the world today. Generally a nocturnal creature the Coconut Crab will hide throughout the day time and emerge at night to forage. The name ‘Coconut Crab’ is derived from the crabs unique ability to use its powerful pincers to break open fallen coconuts to get at the nutty goodness inside although they have also been known to steal shiny items like cutlery and kitchen utensils from peoples homes if they get the chance. Although the Coconut Crab will often feed on fallen coconuts it has been known to get its primary food source with other methods. The first method the Coconut Crab will use to get to coconuts it to climb a coconut tree and then cut down fresh coconuts for consumption, from here the Coconut Crab will either climb back down the tree and break open the coconut with its pincers. If the coconut is to strong for the crab to break with its pincers it has been observed repeating the process of carrying the coconut back up the tree and repeatedly dropping the coconut until it breaks open. These actions lead to the coconut crab sometimes being dubbed the ‘robber crab’. The Coconut Crab is actually a type of hermit crab but it differs from its brethren in that it doesn’t use an external shell for protection. A juvenile Coconut Crab may use snail shells or the like for protection and as its body grows they have even been known to use coconut shells for protection however by the time the coconut crab is full grown it has developed chitin plating to protect itself and its believed that the reason for its exceptional size is because of this fact – there is no external shell to constrict its growth. Coconut Crabs mate between late summer and autumn and will do so frequently. After successful mating the eggs are deposited on land until the time comes for them to hatch (around November) and the female Coconut Crab will usher the eggs into the sea. The young crabs, if they survive predators, will then go on to hatch and find a small shell for protection. Although a Coconuts Crabs main diet consists of coconuts and fleshy fruit they have been known to eat smaller crabs and have even been witnessed eating rats and small rodents. 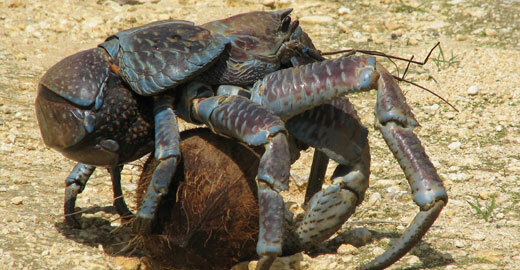 It has also been suggested that Coconut Crabs will sometimes eat carrion. Like most hermit crabs, Coconut Crabs live in isolation choosing burrows and rock indentations rather that a portable shell. As Coconut Crabs find it hard to breathe in intense heat the burrows and rock crevices provide an essential tool for keeping cool and increasing survivability and its this reason that the Coconut Crab is generally nocturnal. Although the Coconut Crab is nocturnal they will sometimes emerge to feed in the daytime if there is a lot of competition for food or if the weather is dull and wet as the crab can breathe more easily in these conditions. If this species of crab is on the ‘end of the line’, it’s high time we take serious action. Have someone started doing aquaculture coconut crab,or has any government encourage the private sector to invest in the aquaculture coconut crab for the good as food for human and the survival of coconut crab. I have interest in developing coconut crab farm as we have thousands of coconut trees along the coast spreading more than 100 km with coconut crabs running around. 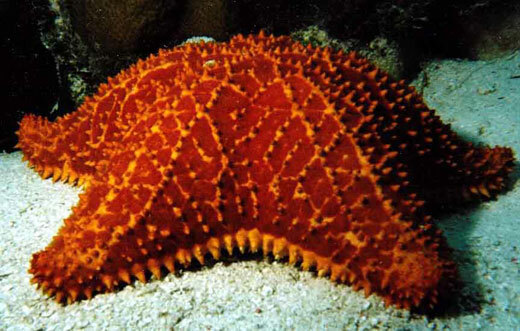 Any information from any marine life research centre send to me is highly appreciated. 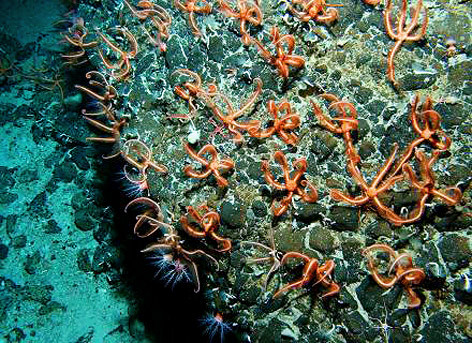 you could be rich once you know how to breed them,it might become a delicacy food.